Can you imagine how much I'd regret letting this one go? Finding the "right one" in clothes, shoes and love takes patience, commitment, a bit of luck and a lot of gut-feel. I've learned through experience that following that instinct could make or break a potential relationship even before it gets off the ground. Now I've committed to this dress even before I knew where we were going together. Angelic Abi allure and awesomeness! This dress is lovely along with your sandals. The handbag is classy and lovely. 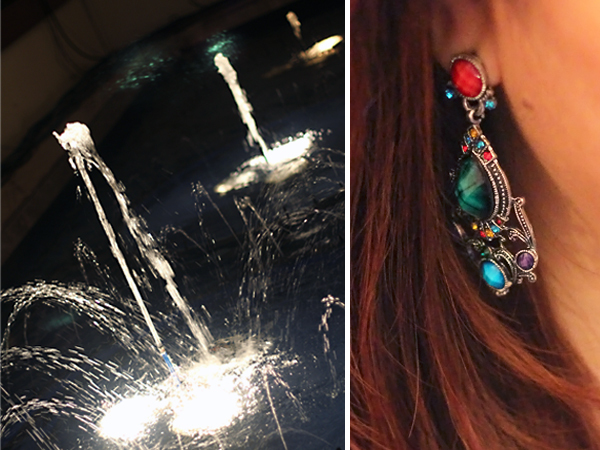 I also love your ring and bracelet, and I also adore those earrings. This is just beautifully classy and chic. Much love to you on such a gorgeous outfit! Using our womanly instincts when shopping pays off! Thanks Sharon! Nice to know I'm not the only one! Haha! This dress is so gorgeous on you! I too buy plenty of formal dresses without places to wear them to. It's just nice to have a collection in your closet! Gorgeous dress on you - I love the color! Well despite all your difficulties finding a dress you found one and it looks beautiful on you! That is a beautiful dress- the cut and color looks gorgeous on you! What a pretty dress! And hey, nothing wrong with wearing something nice to pick up some groceries :) If it makes you feel good, rock it WHEREVER you want! you never need a reason to buy a pretty dress!! and this one looks so great on you! i love the color! umm i think you found the perfect dress! you look gorgeous and its such a great color! great outfit!your look is amazing! The color of the dress + your hair color is a lovely contrast. 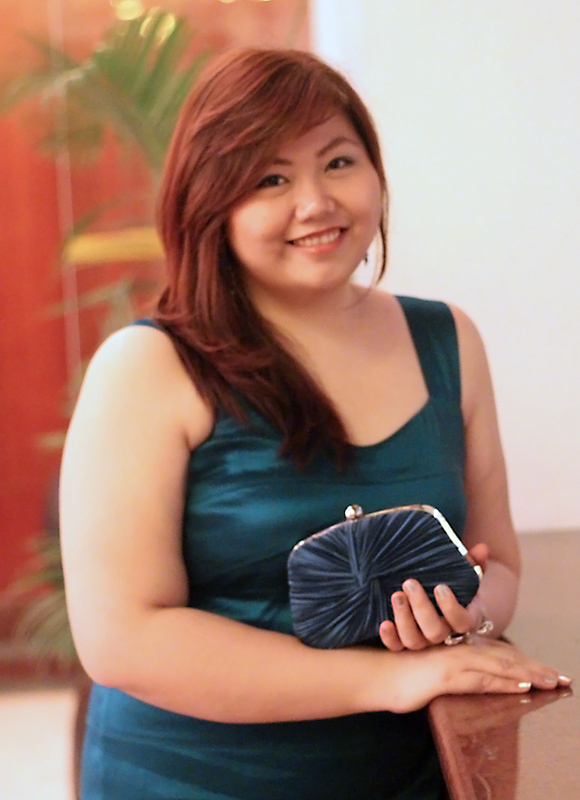 I alos love your clutch, it almost matches your dress perfectly! It does! :D Thanks Brittney! 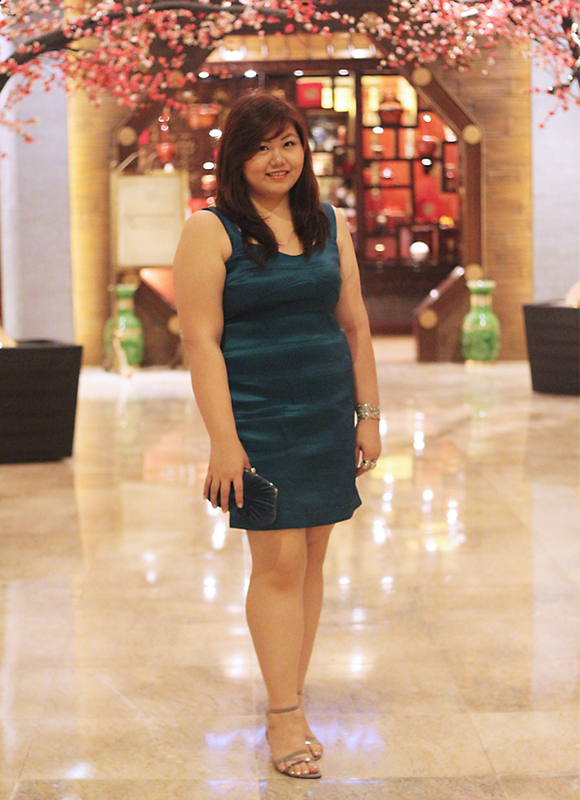 Nainggit ako nang slight sa chandelier earrings! Ang bongga eh! Hahaha! I used to buy per need basis too, but then I realized how difficult and often unsuccessful my shopping trips are when it's already a day or two before the event.